Monte Carlo Solitaire is a classic solitaire game that depends mostly on luck. The object of the game is to discard all the cards in pairs of the same rank. 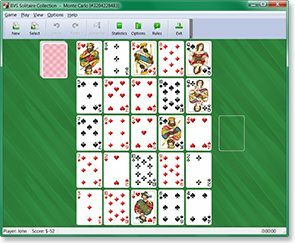 BVS Solitaire Collection 8.1 for Windows XP/7/8/10 is a collection of 520 solitaire card games. It includes Monte Carlo Solitaire and other pair-matching type games. 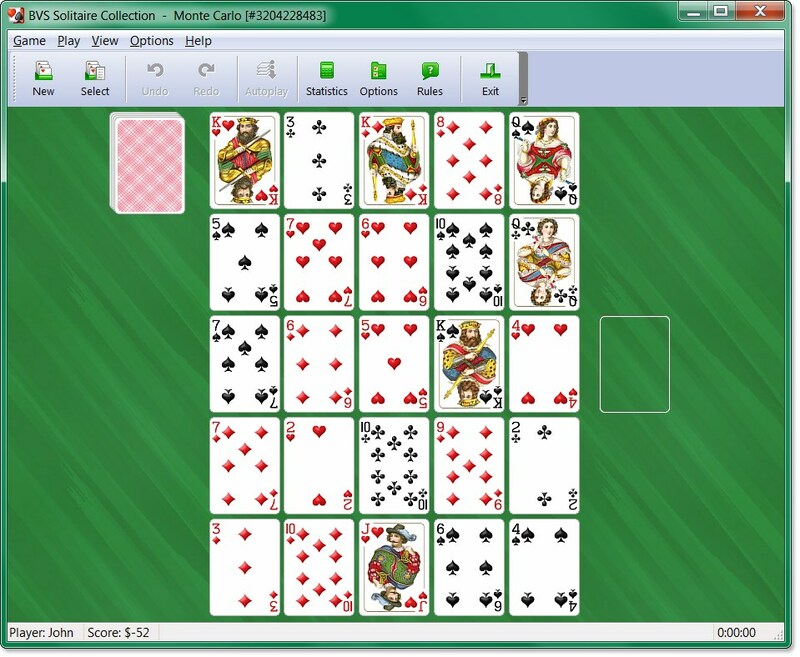 Buy BVS Solitaire Collection now to play 520 solitaire games (including Monte Carlo Solitaire). You will receive your registration code within a few minutes. You will also get Plus Pack with excellent additional card sets, card backs and backgrounds. Only $19.95 USD.